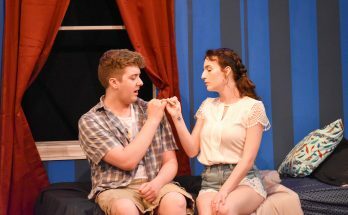 Theater students from across the Midwest were given the opportunity to participate in the 2018 Kennedy Center American College Theater Festival, and theater students are currently preparing for the 2019 program in January. The KCACTF is a yearly event that hosts theater arts students from Indiana, Ohio, Michigan, Illinois and Wisconsin. 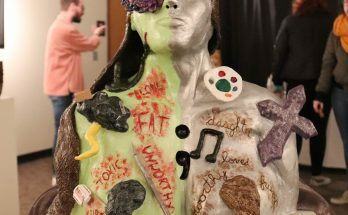 The event gives students a chance to participate in workshops led by professors and professionals with experience in the field, present their own works in galleries, their talents on stage, compete for scholarships and network. 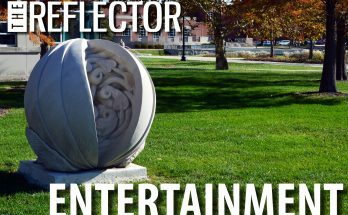 The University of Indianapolis has hosted the festival for the past two years. Last winter, the festival took place over six days in January in Esch Hall. As the January 2019 festival draws near, senior theater education major Zech Saenz expressed excitement in traveling for the festival, which will be held in Madison, Wisconsin. Saenz said he enjoys seeing what other colleges are doing in surrounding states and learning new techniques. 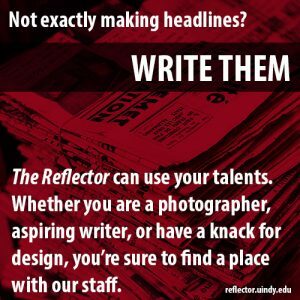 Among those techniques are events including design storm, tech olympics and acting workshops, according to junior theater major Emma Rund. She described the tech olympics as a competition between stage crew members and their ability to hang lights, tie ropes and move props. Saenz described design storm as a competition where teams create a quick work-up of a play where they prepare a general plan of attack as if they were going to actually put together and direct a play. Included in this project are costumes, history of the time period and props. Learning these skills in a new environment surrounded by fellow theatre students is an experience Rund looks forward to having again. She said she is excited to become more involved and showcase her talents at this winter’s festival. Last year, Rund said, she did more observing and was busy helping guide other students. Rund is also nominated for the Irene Ryan scholarship at this year’s event, where she will be given the chance to perform in front of a panel of judges and get critiques from theater professionals. If Rund advances, she will have the opportunity to travel to the Kennedy Center in Washington, D.C. to perform for the $2,500 scholarship. Rund said the 2018 KCACTF was a great experience where she got to take advantage of learning opportunities and hopes to do the same this coming year in Wisconsin. For Saenz, the event is not only an opportunity to meet new people but to reconnect with friends he has made over the years. With this being Saenz’s last year to attend, he said the most valuable thing he has taken away from the festival is the genuine connections made with other theater lovers.